The Topro Troja Classic Rollator is a well-designed, well manufactured lightweight walking aid that has a number of key features to benefit the user. 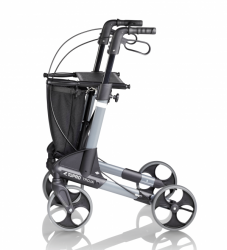 Made by Norwegian company Topro, who are a company with an outstanding reputation for producing advanced modern designs that combine user comfort, safety and convenience, and producing an innovative range of rollators of the very highest quality. 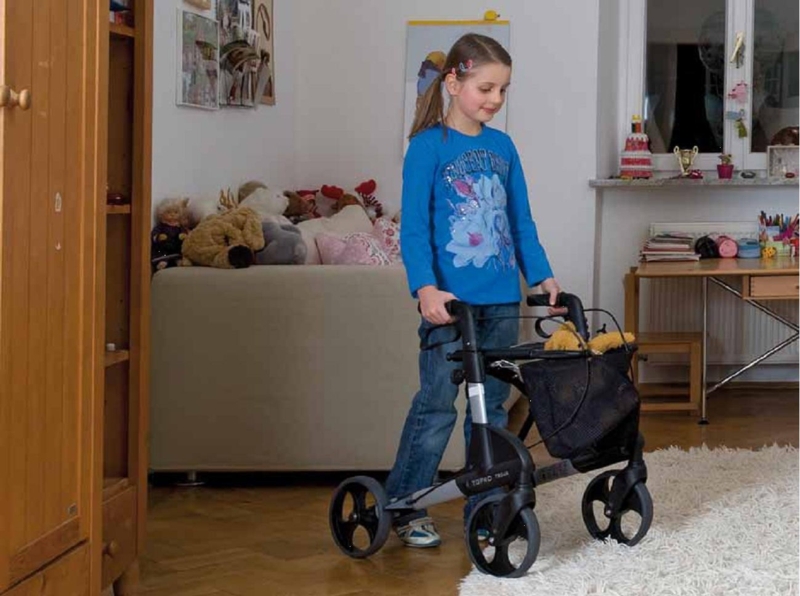 The Troja Classic Rollator is fitted with simple to use, efficient loop handled cable brakes, that are adjustable if required, and ensure the user can stop quickly, safely and in a controlled manner, if required. The rollator also has height adjustable handles that are very easily adjusted to suit the user's requirements, giving great support, ensuring excellent posture and improving user comfort. Uniquely Topro rollators feature a built in memory function that always remembers the users set handle height. With its large 200mm (8") diameter wheels and its lightweight nature, the Troja Classic Rollator is incredibly easy for the user to control and manoeuvre, and with its Kerb Lifter and Edge Guard features it will also deal with obstacles like thresholds and kerbs with ease and in safety. Using only one hand, and with only a few simple movements, the Troja Classic can be folded up, ready for storage or transportation. The user simply pulls lightly on the grey strap located in the centre of the seat and the rollator will literally appear to just fold in their hands. Once in the folded position the Troja Classic Rollator takes up very little space, but will remain stood up-right securely and safely on all four wheels, ideal for small rooms or storage behind a door, the compact size also makes it suitable for popping in the boot of a car, making it ideal for travelling. The Troja Classic is also available in an extra small and a small size for smaller users.